Bands with a classically trained composer often add an element of avant-garde flair to the mix. Well, Pansy Moon has four of them, and it's readily apparent in the conceptual and nontraditional pieces of work they generate. By juggling melodic motifs, contiguous story arcs and thoughtful themes, the group creates a brand of avant-pop that transcends the possibilities of conventional songwriting. They don't just plan out songs, they map out entire albums with reprisals and callbacks. With a six-piece line-up and a bevy of instruments at their disposal, the members use their acumen for composition to the fullest with complex and fulfilling arrangements. Two of the formative members of the band, Dub Lemons and Jordan Kusel, met in UNT's music composition program, joining forces to form the foundation for Pansy Moon. Kusel was more versed in pulling out electronic sounds while Lemons was more interested in starting with a traditional composition and then twisting it with different tools and ideas. Many of the tunes started as guitar-centric, simpler songs, but as the size of the band grew songs were eventually orchestrated to fit the additional accompaniment. That included violin, clarinet, saxophone and a bevy of electronic modifications added to the mix. On one track, there's an unmistakable sound of trumpet as well. When asked about brass instruments in songs, Kusel immediately wears the face of the cat who ate the canary. He looks over to partner in crime Lemons, but reluctantly he has to face facts and admit that the trumpets were, in fact, MIDI trumpets that were entirely computer generated. "I apologize to everyone for that," Kusel says, exchanging laughs with Lemons. "But we would love to get more musicians and have an actual trumpeter in the band. So if you know anyone..."
One of the immediately noticeable influences, and one that Lemons freely admits to, is Russian composer Igor Stravinsky, famous for his use of atonal pitches and chaotic noise as a means to trigger emotional response. Lemons hopes to employ similar techniques by using objects such as bike chains and door locks to create bizarre noises in surreal orchestrations. An important distinction, however, is that neither Lemons nor Kusel wants to eliminate any ideas of pop music or catchiness from their work. They both strongly believe that concepts of music as an art form and creating pop songs are intertwined and often inseparable. "A pop hook can carry as much weight as a tightly composed arrangement," Kusel explains. They want to make something weird, but they also want it to be played in a club. Lemons says his magnum opus would be to create "the weirdest hook imaginable," finding the perfect balance between being catchy and challenging. And the audience can feel this tension. Kusel says the biggest compliment they've ever gotten after a show was when an audience member came to him and said "We don't know what you're doing, but it's awesome." On Pansy Moon's concept album Night on Elba, Lemons explores themes of problematic relationships with oneself, time, people, lovers and especially substances. These ideas are repeated and resonate both lyrically and sonically, as themes that are tied to certain feelings may have reappearances later in the album, much like a classical arrangement. Certain melodic patterns may be bound to the words that the accompany, and later repetitions of the melody are intended to invoke a previous emotion. 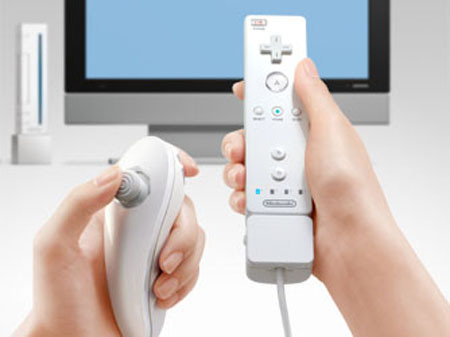 Unlike a classical arrangement, though, Kusel will employ other-worldly techniques to modulate sound, including strapping a Nintendo Wiimote to his wrist so that he can rotate his arm and alter effects on looped sounds on the fly during a live show. He hopes to also eventually fire laser blasts out of it, but they're not quite there yet. Between that and playing saxophone, Kusel says he's usually kept quite busy during a live show, but that's the reason he likes doing it so much. "It's overwhelming but in the best way," he says. "You're challenged and engaged and pushed to your artistic limits." The etymology of the name Pansy Moon, much like the music of the group, has several layers. Besides having a phonetically pleasing sound, Pansy Moon also serves an oxymoron of an earthly plant and an extraterrestrial planet. Beyond that, Lemons also traced the origins of the word "Pansy" to latin and found that it meant "little thought," which he found even more intriguing when paired with the idea of the word Pansy as a pejorative term. "The insulting nature of the word originated from people shaming those who dwelled too long on things," he says. The opposing ideas clicked with Lemons not only as an interesting paradox, but an embodiment of the music he endeavored to create. He wanted to create music that inspired free thinking and lambasted the idea of anti-intellectualism. "The band name really captures what I'm trying to do not only in the meaning itself, but in the fact that it has multiple ideas behind it, multiple layers" Lemons says. "I want the album to reflect that, and have many parts going on that all contribute to a main, unified idea."